Sara McDaniel, pianist, is known throughout the western region as a performer, teacher, clinician, and adjudicator. Much of her work has been done through MTNA affiliates. Her performance specialty is chamber music. She collaborates regularly with musicians throughout Colorado Springs and faculty of Colorado colleges. 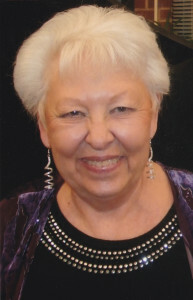 She has been a soloist with the Chamber Orchestra of the Springs and the Pikes Peak Philharmonic. She has given piano pedagogy workshops and master classes throughout Colorado and many other states. Teaching comprises a major part of her career, both in an independent studio and on the faculty at Pikes Peak Community College and University of Colorado Colorado Springs. In 2001, she was Colorado’s first nominee for Music Teachers National Association’s Teacher of the Year.